The New Way to Online.Shopping.process. We realize not everyone can make it to Hollywood, so we have taken steps to bring Hollywood to everyone. Our Web site, www.hollywoodmegastore.com features thousands Hollywood products and is accessible to hundreds of millions of people worldwide. We get heavy traffic from all over the world, a true testament to how universal Hollywood has become. The Zahavi Family, owners of hollywoodmegastore.com, also have owned and operated four separate stores in Hollywood for 20 years and have developed a well-respected name within the community for style, taste, management, service, hard work and dedication. Through the years, their experiences have provided them with the ability to create a qualitative and well-presented inventory for their diversified clients. With a constant eye on the latest trends in the Hollywood and entertainment industries, the Zahavis have continued to update their inventory and have retained the most recent licensed Hollywood specialty items from Disney, Warner Bros., Universal Studios and many others. In addition to its extensive line of licensed items, Hollywood Mega store also carries popular novelty items for each individual's needs and budget. Hollywood Mega Inc. Shipping & Receiving.Wholesale.Online Store. We specializing in Hollywood-themed party supply, and other Hollywood products and gifts, online ordering at our Web site, www.hollywoodmegastore.com Large stock, discount available on large quantity orders, with thousands of items to choose from, all available on our site. We are one of the largest souvenirs & gifts wholesalers in the Los Angeles area. With large quantity of Movie reels, Movie cans, Clapboards, License plates and Much more. Give us a call and find out how can we help you with your Hollywood product's needs. .
Hollywood Souvenirs & Gifts LA LA LAND Hollywood.Luxury Gifts & Souvenirs Retail Store. 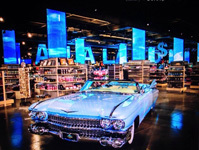 Hollywood's Luxury Gifts & Souvenirs Store. Our Web site, www.lalalandhollywood.com Come in and visit us, we are the largest Souvenirs & Gifts store in Los Angeles , Located in the heart of Downtown Hollywood, with over 30,000 square feet of gifts, the latest fashion appeal, Mugs, Collectable, giftware, license plates, Toys, the most original movie posters, Black and white movie stills, and many more movie props. Souvenirs of Hollywood The Classis Store.100% Satisfaction Fun. Souvenirs of Hollywood Store. Our Web site, www.hollywoodmegastore.com Come in and visit us, we carry great gifts for any age, Located across of the Hollywood and Highland Center & Dolby Theater, fashion Clothing, Collectable, Magnets, Key chains, giftware, license plates, Toys, the most original movie posters, Black and white movie stills, and much more movie props.. The Hollywoodland Experience. Hollywood-themed items.Gift shop. Great Service. The Hollywood Land Experience Store. 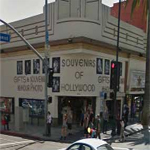 Our Web site, www.hollywoodmegastore.com Come in and visit us, we carry great gifts for any age, Located on the other side of the Hollywood Chinese theater the historic cinema palace Originally known as Grauman's Chinese Theatre one of Hollywood's most historic land mark feat. Footprint and handprint of famous celebrities, in our store we carry licensed apparel, Collectable, Clapboards, Magnets, Key chains, giftware, Movie reels, Megaphones, license plates, Toys, the most original movie posters, Black and white movie stills, and much more movie props.